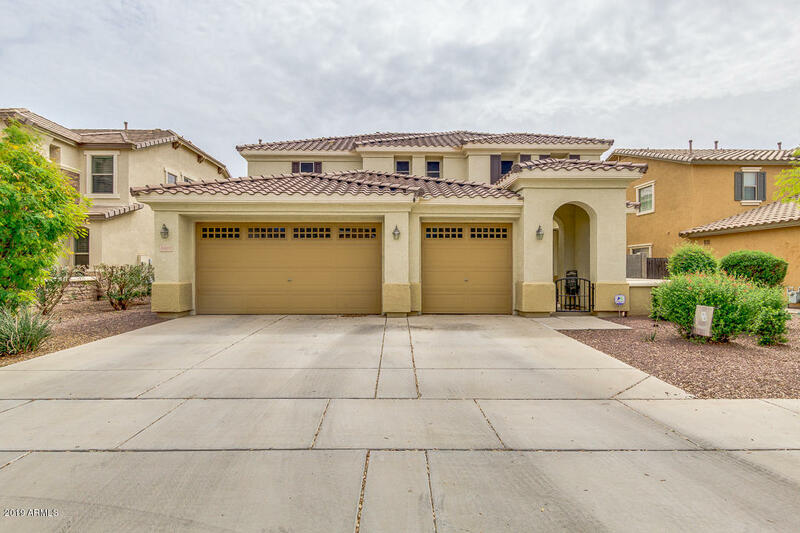 All CAMERON RANCH homes currently listed for sale in Gilbert as of 04/22/2019 are shown below. You can change the search criteria at any time by pressing the 'Change Search' button below. 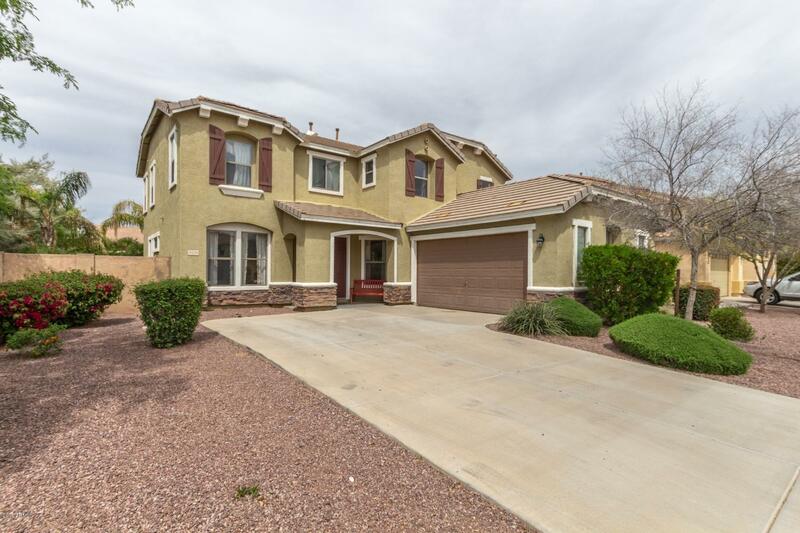 "Stunning 4 bed plus den/office, 2.5 bath home in Gorgeous Cameron Ranch. Move in ready beauty boasts slate tile floors in all the main areas, fresh paint, 2 in wood blinds & plantation shutters. New ceiling fans & light fixtures. Surround sound in great room w/room for a 75'' TV. 3 car garage w/lots of storage. Large upgraded kitchen w/granite counters, huge pantry, double ovens & all stainless appliances. Refreshing pebble tec pool w/covered ramada and low maintenance landscaping. No neighbor"
"Exquisite Gilbert home in popular Cameron Ranch. The home is situated on one of the largest lots in the subdivision with a sparkling pool, fruit trees and lush green grass. Both side yards are wide enough to accommodate a garden or trampoline. The home exudes detail with crown molding and shiplap throughout the lower level. The kitchen is made for large gatherings with a breakfast bar, large island and double oven. The downstairs also features a guest bedroom and full bathroom, formal living roo"
"Pristine 4 bedroom 2.5 bath w/huge loft, w/over $50,000 in custom remodel features in 2018, including Plantation Framed Window-Blinds and Elegant Wainscoting . New kitchen cabinets, unique color changing LED cabinet lighting - upper and lower. 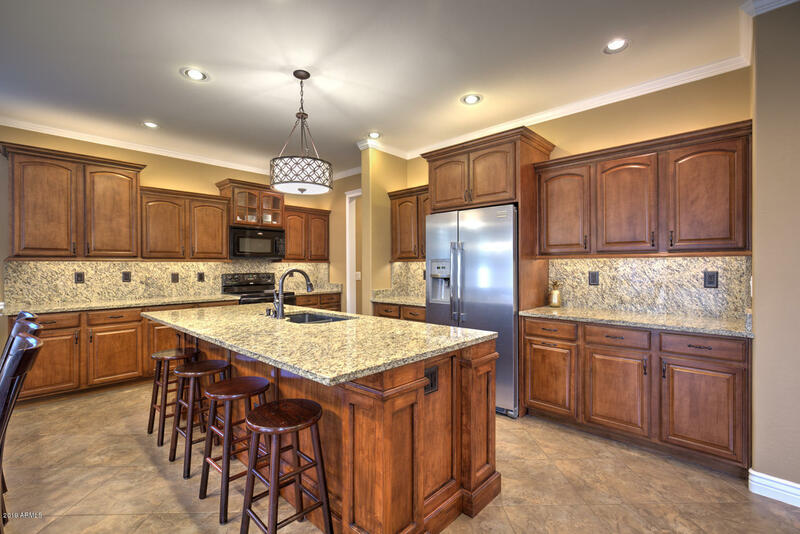 Check out the 1'' thick granite countertops and full backsplash. Spacious Chef-sized Kitchen Island, with bronze outlets, USB, and dimmers. Walk-in pantry with well-appointed custom mudroom right off the garage. All bathrooms completely remodeled, inc"